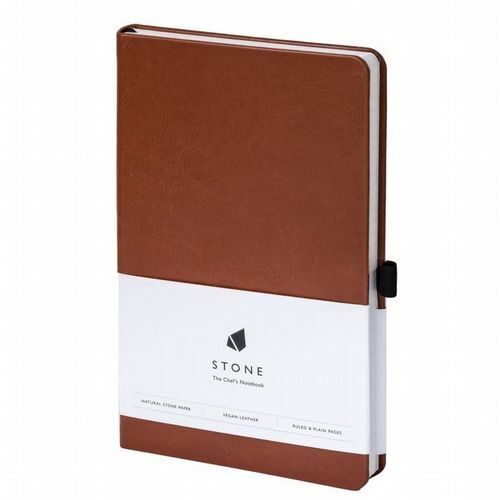 Professional chefs and mixologists all keep a notebook with them to note down new recipes as they are created. However life for a notebook in a kitchen or behind a bar can be hazardous to say the least and they inevitably get covered in grease or have gravy, wine or worse spilled across their pages which will either obscure or smudge the text and stick the pages together. Well no more!! A group of professional chefs have got together to solve this conundrum and have produced the perfect solution! 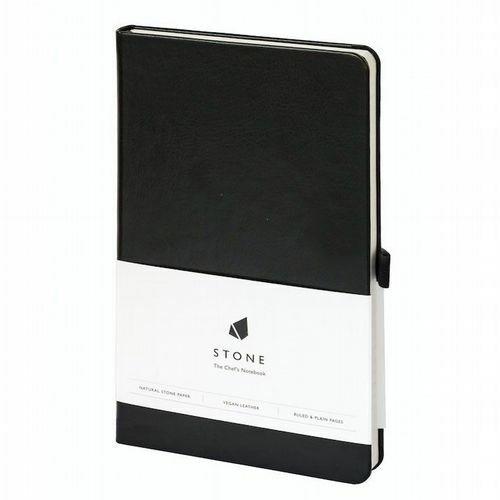 The 'Chefs Notebook' is bound in vegan leather and every page is completely waterproof and greaseproof! Just write with a normal pen and you can wipe anything from the pages with kitchen towel, leaving them spotless and your recipe legible. We have had great fun spilling coffee, red wine and gravy to ensure that the notebook lives up to the claims and it passed with flying colours! Frankly every home should have one as accidents will happen, however for the passionate cooks out there and the creative mixologists this is a godsend. Simple, clever, good looking and problem solving - our congratulations, this is genius!